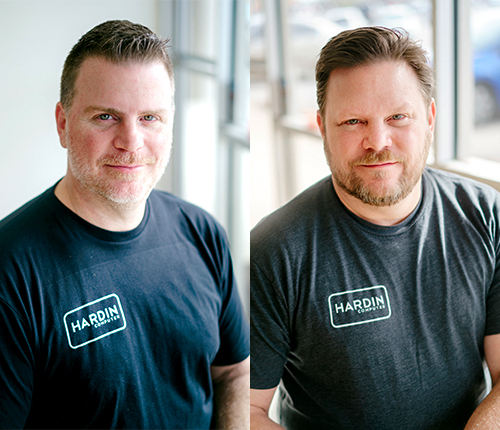 The Hardin brothers, Rick and Louis, are the second generation to run the family business. The guys started at the bottom as kids cleaning floors, filing and doing anything needed to make a little money. Dad never gave them allowance so they worked for what they wanted, learning business and life lessons along the way. Richard Hardin began repairing TV’s and radios in high school. In 1967 Hardin Electronics was established as a home-based business and began selling Norelco tape recorders shavers and such. Seeing a need in his church community for more honest and affordable audio systems, Mr. Hardin started selling and installing sound systems for many local churches, and he even engineered and produced Hardin Electronics mixing boards and speaker enclosures. Being an electronics company when the Apple II was anounced, Mr Hardin saw the potental of the new evolving technology. 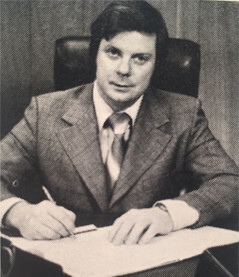 Hardin Computer was born and became an Apple Authorized Reseller and Apple Authorized Service Provider in January of 1980.